The full drum sheet music for “Believe Me Natalie” by The Killers from the album Hot Fuss (2004). Taking the tom groove to the next level, Ronnie Vannucci plays an amazing track. He uses a backbeat on the snare on the “ah” of beat 1 and the “&” of beat 3, filling it in with dynamic toms throughout the rest of the groove. Vannucci plays the 8th notes with the hi-hat foot throughout most of the song. This is a tough piece but definitely worth learning. It’s time to tune up those toms! The full drum sheet music for "Mr. Brightside" by The Killers from the album Hot Fuss (2003). 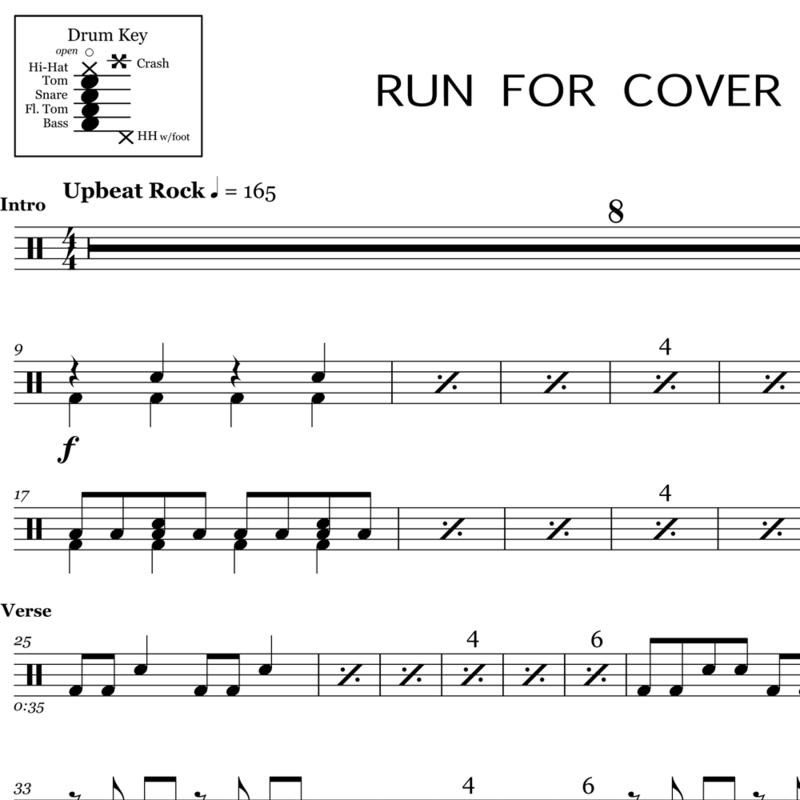 The full drum sheet music for "Run For Cover" by The Killers from the album Wonderful Wonderful (2017).